The arts, public art in particular, have been important forms of resistance by marginalized communities and a way for (re)claiming space and cultural identity. Chicana/o artists have long been working to ‘flip the script’ on aspects of culture and community that have been subjects to disparagement and erasure by colonial culture. Since the Zapatista uprising in 1994, maize has been a growing subject (and medium) in the eastside art community. 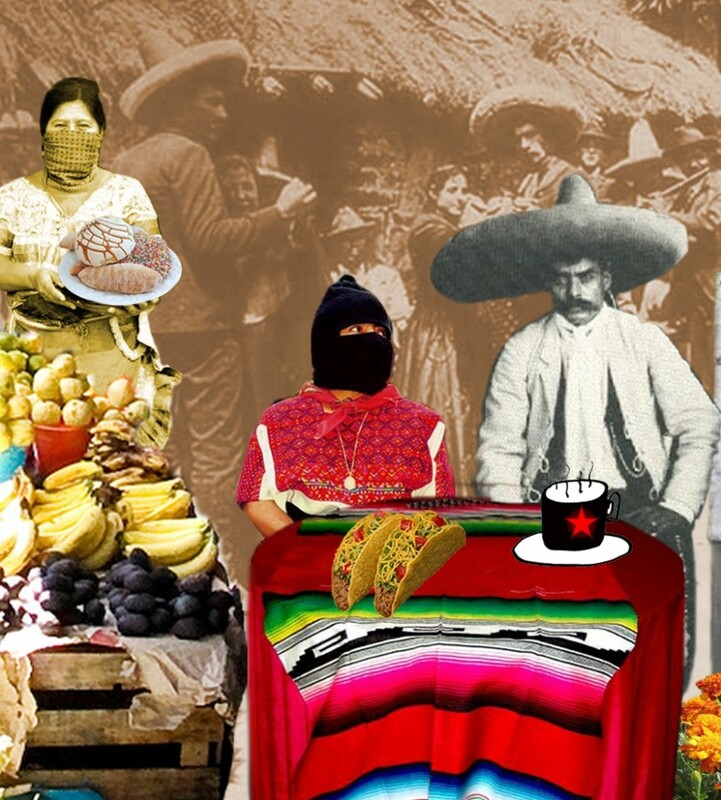 Much of this work has focused on cultural symbolism and the reclaiming of maize and tortillas as key symbols of Mexican and indigenous identity. for example, the artist Joe Bravo uses tortillas as the canvas of his paintings of a wide variety of Chicana/o cultural icons, thus literally centering tortillas.